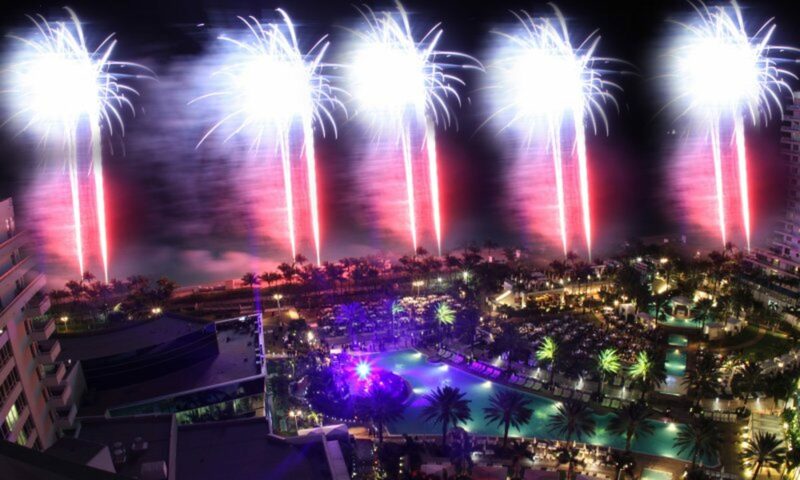 Fireworks in Miami by Party Sparks | Close Proximity Wedding Fireworks are shows designed for areas with limited space. Also widely used for entertaining groups of people such as for corporate events, grand openings, weddings, quinces, and any type of event. These fireworks are designed to have a lot less fallout area which allows these displays to be performed where space is limited and close to spectators. Wedding Fireworks are more and more widely used every year. It gives a great touch to the celebration. We can design any length of show you want from a 1-2 minute intense show to longer 4-6, 6-8, 8-10 minute shows with opening, body & finally. Much longer and larger wedding fireworks shows also available. 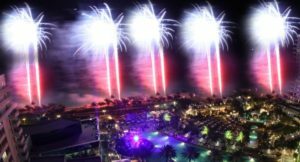 With over 15 years of experience in the business, Party Sparks is dedicated to providing professional high-quality Lighting, Sound, Fireworks and Special Effects in Florida, providing you the full production package. Party Sparks' employees are licensed, trained & insured to choreograph any event. Backed up by Lloyd’s of London we have no limit on how far we can go to dazzle you with the largest special effects for your next event. We specialize in Corporate Events, Concerts, Festivals, Wedding, Quinces, Sweet 16’s, Bar & Bat Mitzvahs, Inaugurals, Galas, Sporting Events, Award Ceremonies, Dances, Performances, Night Clubs, Fourth of July celebrations and New Years events. We have been contracted by some of the largest companies in the world to create their vision into reality & giving them something to talk about. Some of few names to mention of our past customers are: Norwegian Cruise Lines, Carnival Cruise Lines, Seminole Hard Rock Bacardi, Grey Goose, Absolut, Heineken Ralph Lauren, Victorias Secret Boston Red Sox FIU, University of Miami, MDCC Disney World, Jungle Island, Bayfront Park, Marlin Stadium Pitbull, P Diddy, Seal Paul, Tiesto Univision, Telemundo & Venevision And countless cities, night clubs, schools, churches, festivals & municipalities Just to name a few… No event is too large or too small. You can always count on Party Sparks to deliver exceptional professionalism & service to exceed your expectations! Call us today!